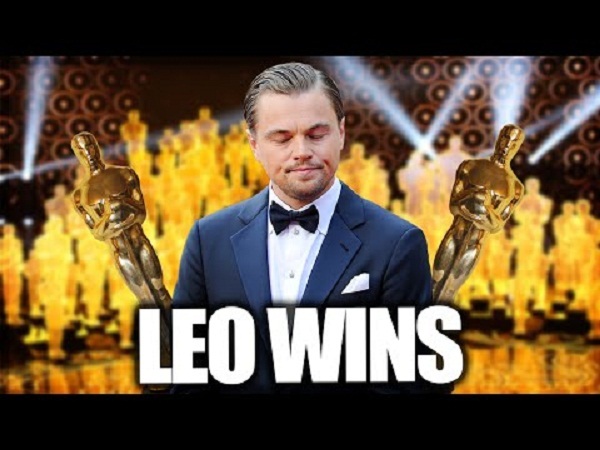 DiCaprio received a standing ovation from the crowd. He thanked his “brother” Tom Hardy, as well as Iñárritu and cinematographer Emmanuel Lubezki, and even director Martin Scorsese. He also used his victory to call out the growing issue of climate change. Over the last two decades, DiCaprio was nominated for his roles in What’s Eating Gilbert Grape, The Aviator, Blood Diamond, and The Wolf of Wall Street, but he had never won before Sunday’s ceremony. The Revenant made for a notoriously difficult shoot, from Iñárritu’s insistence on filming with natural light and in often freezing conditions to DiCaprio eating raw bison liver and sleeping inside an animal carcass for the role. When he accepted the award, Leo did the usual rundown of thanks - parents, costars, and his director. He then focused his attention to the issue of Global Warming, urging those in positions of power (and not) to take the cause seriously.